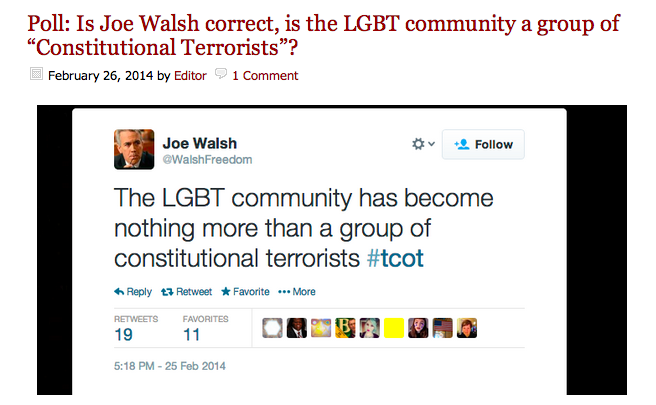 Please come register your vote in our new poll: Is Joe Walsh correct, is the LGBT community a group of "Constitutional Terrorists"? We're guessing that the Truth Team might have a few things to say about this, right? Go provide your input by voting here.